Steady, Happy, Aggressive, Warm and Nuts. If you take the first letters of each of these you get “SHAWN”. Possessing enthusiasm, drive and a positive attitude required to be successful in a sales and marketing environment. Highly focused with a comprehensive knowledge of designing and developing concepts, customer engagement, community building and visual appearance. A skilled and experienced professional with more than 5 years’ experience in developing and implementing e-commerce marketing strategy for an organization. Keep up-to-date with constantly evolving technologies in online social networking, the blogosphere, search tools and Web 2.0. Proficiency with Adobe Creative Suite and experience managing CMS, such as WordPress, Prestashop, Magento, Joomla, discuz and etc. 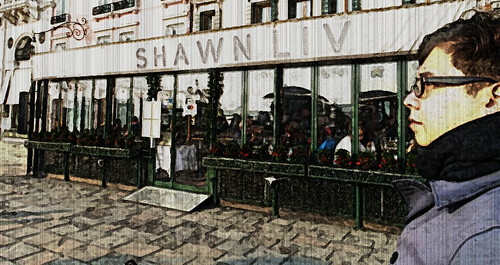 In 2002, Shawn won the first prize of National Intervarsity Web Flash competition (Malaysia); ComGraph 2003 Asia Pacific Digital Art; Amigo 2003 and Animation (Singapore) merit award. For the past few years, Shawn had worked in local company as sales marketing executive specialists in e-commerce, web development, social media, print media and promotional materials. Shawn has a strong grasp of web design principles, information design, typography, color, iconography and layout. On the other hand, Shawn is one of Founder of GP-Music Forum. Professional educator with more than 8 years associate teaching experiences as government instructor, corporate trainer, Singapore sec school trainer (Mac), the official of authorized induction courses, Special Trainer for handicaps and also taught in several institutions.